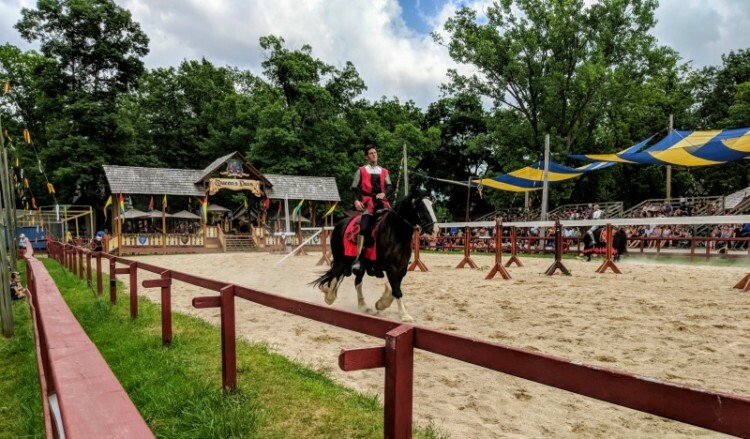 From human-powered rides to playing in the mud to surprisingly good food, the Bristol Renaissance Faire in Kenosha, Wisconsin is the place to go if you want to party like it’s 1599. 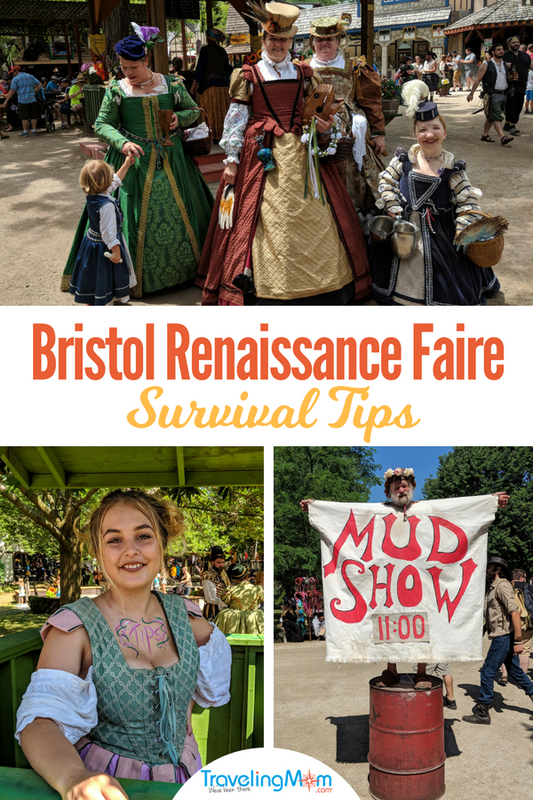 Here are the 11 things you need to know (including how to save money on tickets) before heading to the Bristol Renaissance Faire, which sets up every summer near Kenosha, Wisconsin. 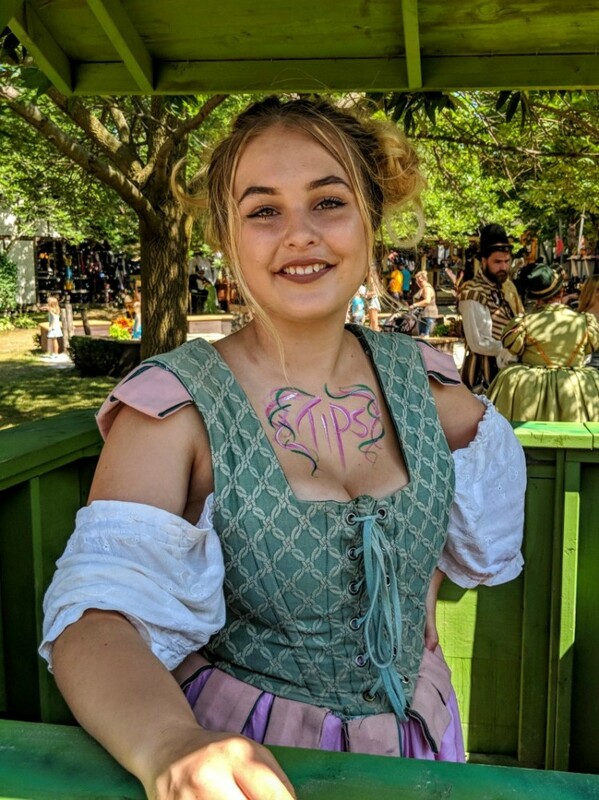 But if you don’t mind a little sexual humor amid period-costumed workers and faire visitors, then there’s plenty to enjoy at the Bristol Renaissance Faire. 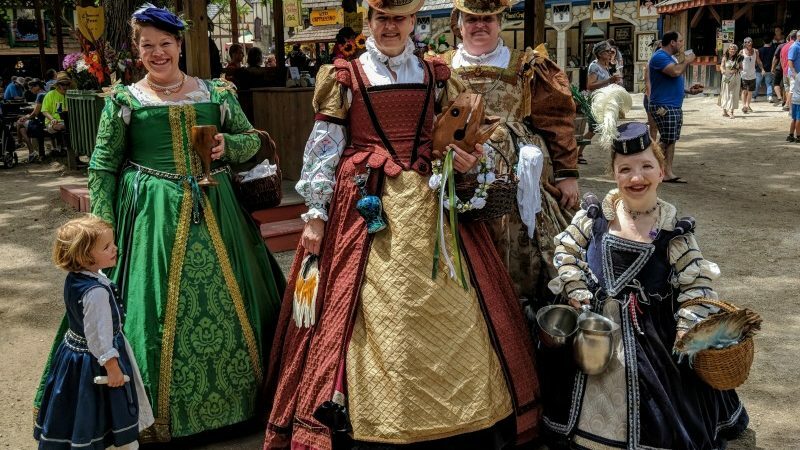 Here are 11 things to know about the Bristol Renaissance Faire (just north of the Illinois state line in Wisconsin). 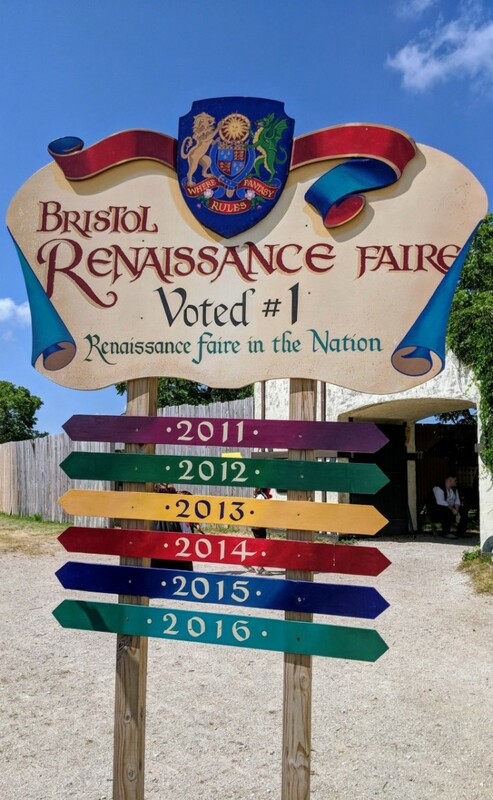 The Bristol Renaissance Fair does not take credit cards. At least the food vendors we patronized didn’t. And the performers work for tips, so bring plenty of singles and $5 bills. 2. Be on the Lookout for Bosoms. Lots of bosoms. Enough to make a 12-year-old boy drool. Chances are you will happen upon a young wench with her tip jar strategically nestled among her ample… Well, you likely get the picture. And if you don’t, just ask the nearest 12-year-old boy. 3. 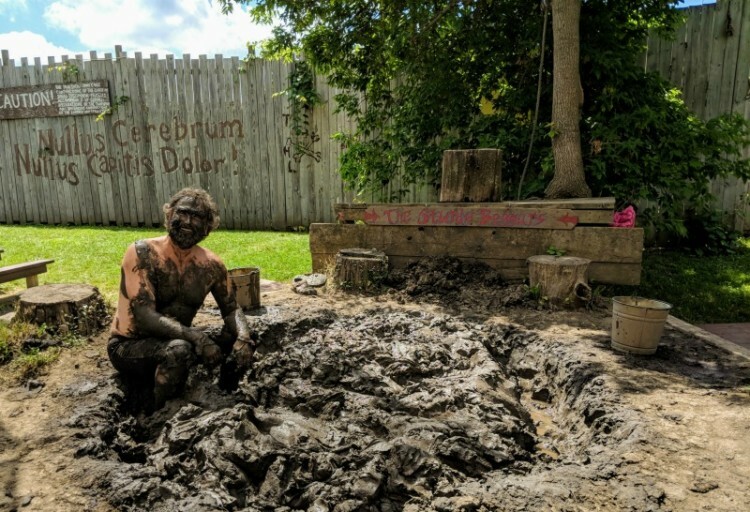 Don’t Miss the Mud Show. Officially called The Sturdy Beggars Mud Show, this ongoing show is silly and smutty and fun. When I posted on Facebook that I was headed to the Faire and asked my friends what I shouldn’t miss, this was the most-often-mentioned feature. 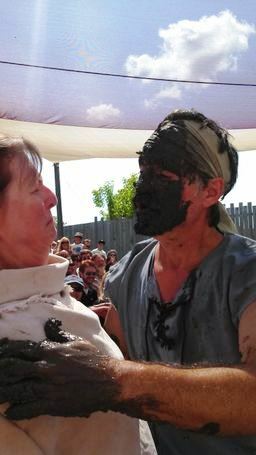 The writer was the (un)lucky one to get kissed at the Mud Show. 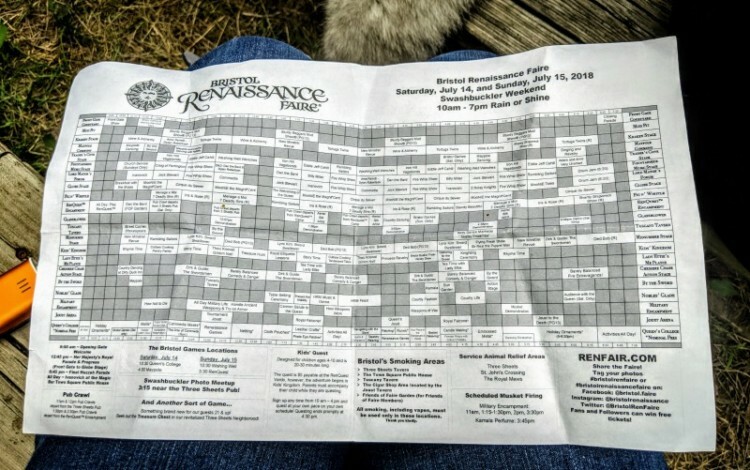 The faire schedule reads like a day planner on a cruise ship–there are 20 different performance venues, ranging from the Kids’ Kingdom Stage to the Joust Arena. We only found about half of those during our six-hour visit. Every show was worth at least a few minutes’ time spent watching. But the Barely Balanced trio of comedian acrobats is not to be missed. This talented crew tells jokes, juggles, and entertains while climbing atop one another, twisting themselves into impossible shapes and holding some Gold Medal-worthy gymnastics poses. If you plan to watch the jousting tournament, arrive early if you want a seat in the small stands. We didn’t and ended up sitting the grass, where we ate a lot of dust stirred up by the charging horses. Chain mail is appropriate period costume wear at Bristol Renaissance Faire. 5. Feel Free to Dress the Part. Read More: Why Does Dressing Up for a Renaissance Faire Make It More Fun? 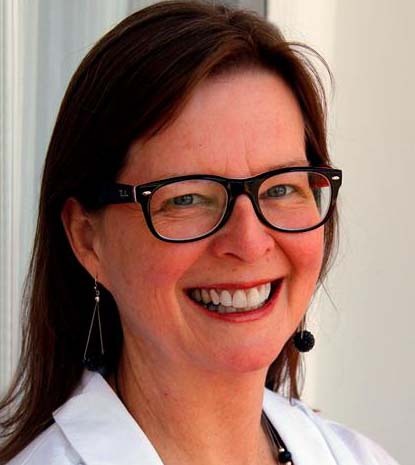 My friend (and former TravelingMom Food Editor) Jennifer Olvera suggested it on her blog and she was right. We really liked the tempura shrimp and veggies Jennifer recommended. The food at the faire overall is pretty darn good. The beef stew in bread bowl was tasty, but I couldn’t understand why hubby chose stew on a 90+ degree day. 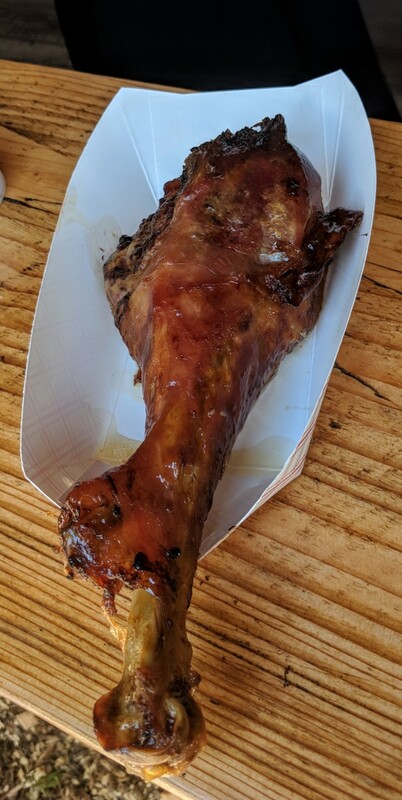 We saw lots of people eating the ren faire traditional food: huge BBQ turkey legs. 7. Take a Spin on the Human-Powered Rides. The faire might call them thrill rides, but they’re more kitschy fun. The teens enjoyed hopping on a ride and having a couple of able-bodied, period-costumed workers push them around. Note that most of the rides require an additional per-person fee, generally about $3. There are some activities for younger kids that are free. 8. Print a Coupon for $4 Off. The 2018 per-person admission fee at the door is $25.95 for adults, $24.95 for ceniors (62+) and miltary with an ID, $11.50 for kids ages 5-12. Before you go, download this coupon for $4 off. Or head to a local Chicago area Menard’s home center store to buy discount tickets. As an added benefit, having your tickets in hand means you can skip the long lines of people waiting to buy tickets at the entrance to the faire. 9. Bring a Water Bottle. It gets hot and dusty at the faire and bottles of water are pricey. So bring your own bottle and fill it up at the water fountains located outside the “flushies.” Re: the dustiness, it also makes sense to wear comfortable closed-toe shoes such as sneakers to walk around the dirt and stone paths. 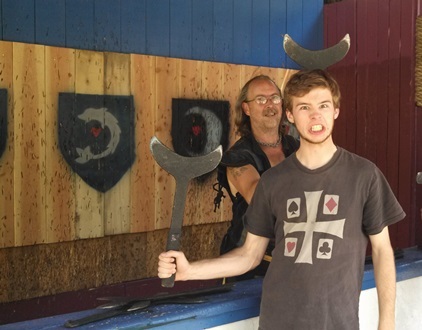 19-year-old Evan thinks he’s tough wielding that ax. This was the big draw for the males in our group–one teen and two guys 50+. This is another pay-to-play activity, but they thought it was well worth the money for the chance to throw axes, shoot arrows and toss Ninja-style metal throwing stars. 11. Don’t Expect a History Lesson. My 17-year-old daughter, a history buff, was disappointed that the faire was more Disney than historically accurate. 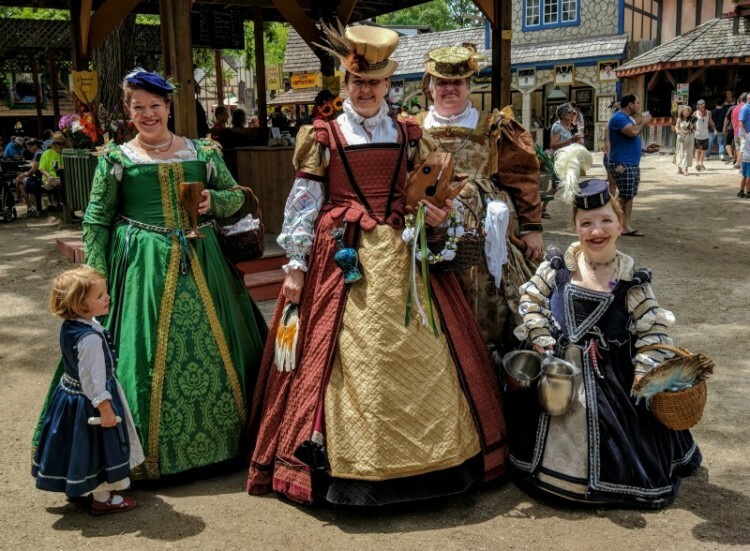 Details: There are renaissance faires around the country, but the Bristol Renaissance Faire in Kenosha, Wisconsin, was voted the best renaissance fair in the country six years running. It’s open weekends only through Labor Day, rain or shine. There ARE historically accurate (as possible) aspects. The main group of players (Queen and court) are in character and dressed in period attire. If you follow the Queens activities throughout the day you will find history lessons and can get “schooled” by most any cast member. Hi, I like your site. Stick some fruit in your bag. You can refill your water by the flushables in no time. Go see Moonie on the Queen’s stage. See the Queen. The Mud Show is still funny. the may-pole is very neat. Wear a hat. It can get hot. Stay all day. Rest. Don’t miss anything. If it rains go in a shop or duck in anywhere. Don’t spendmoney. Free all day! 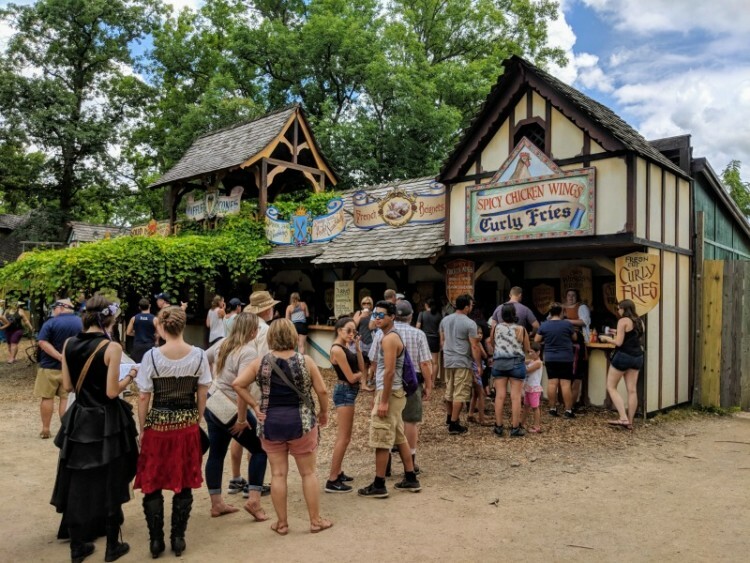 Bristol Ren Fair does not allow food carry-ins. If you have fruit in your bag do not be surprised if security at the gate makes you take it back to your car or throw it away. If you park in the free lot that is a trip. RENAISSANCE has nothing to do With England…its was more in Italy/France. Thanks for the tip on getting the tickets at Walgreen’s! Also, really enjoyed the Barely Balanced trio, very good! Was a great day! Hi – are the tickets $16.95 at walgreens? the bristol site says $20.95? You’re right, MJ! The ticket prices went up this year. I updated the post to reflect 2016 prices. FYI- Labor Day weekend, kids are free and adults are half price!! Barely Balanced and other acts may be seen on youtube. But, you must really be there to enjoy the shows. There are a number of places to purchase period costumes there. My guess is people buy them, wear them and come back many weekends to be part of the environment. The roasted turkey leg was great. The ribs were to die for. Coming up 294 from IL, go past the fair a mile or so to a state rest stop. Better than a porta potty. Take care of your needs and get instructions on how to take the back roads to the fair (about 2 miles away) to avoid traffic. I’ve been a season pass holder the past three years and this year I’m actually working in one of the shops. I can honestly say, this article is the real deal. It is English. Queen Elizabeth; Sir Leicester. Period costume. there a lot more individuals fairies and such aaround. but, the faire is based on what would be the Queen taking a trip around to villages. the ousters can be greusome. but the audience does not know. a jouster fell from his horse a and was knocked out. when he hit the ground, he woke up. they are very hot. Under their metal is a thick piece of costume to protect called a gambison. they are great horse handlers. Moonie is not to be missed at the Queen’s stage. Remember, the mud judge just got calibrated. Go there to laugh, get grossed out and to listen to tunes on a bugle. It is hot work. all this because her Royal Majesty passed thru the neighborhood. Look for the queen’s Fool with a set of teeth around her neck and wearing the most drop-dead costume at the Faire. Miss Eddy may be the opposite, but is cordial none the less, check out the posterior of Dirk and Guido. All seems Faire at the faire, do remember there are children and jus t plain ole folks there. Yes, at home stuff food wherever you can. Sit and rest when you are there. enjoy what you paid for. take your time. there is first aid if you need it. If it rains get under something to wait it out. I never thought of going on a kids’ ride. god save the Queen. Hazah! I like the faire a lot. Very nice site. Doubt I should strut around in the chain mail, but the idea of costuming is so fun. Loved my elegant dress in Quebec City at historic festivals — so this faire sounds good to me. Thanks for the details. Get a daily admission at Friends of Faire for $5 per person. They have water and Gatorade that you can drink for free, and we bring water bottles to fill up. It’s also a nice place to sit and eat lunch that you buy elsewhere on a busy day where there is not other seating to be had. We also love the fairy garden. It was out daughters’ favorite place when they were 7 and under, and they also loved Kids Quest. Have fun! Even from reading the guide itself I get some medieval vibes, I imagine what it is like to put on an actual 1599 outfit and party with people who look the same. 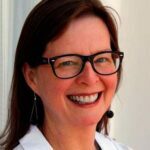 Great article and some great tips, Cindy, you did an outstanding job.